Appcelerator Announces Beta Support for BlackBerry | BlackBerry Blast! Appcelerator®, the leading platform for rapidly developing native mobile, desktop, and iPad applications using web technologies, today announced Titanium beta support for the BlackBerry platform. Web developers already use Titanium to create rich native applications for the iPhone, Android and iPad. With today’s announcement, Appcelerator expands its cross-platform solution to include BlackBerry – the nation’s top-selling smartphone. 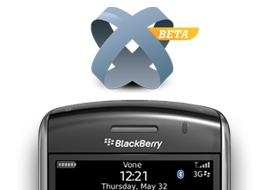 According to a March 2010 survey (http://www.appcelerator.com/mobile-developer-survey/) taken by Appcelerator, 43% of developers are interested in creating applications for BlackBerry. That’s a two-fold increase in just two months, during which time RIM saw a significant increase in awareness of next-gen platform capabilities, in particular the number of rich APIs available to developers to create new applications.